1. By attentively observing with the gaze of the century that has passed since the revival of the unity of the Ukrainian nation and state, we contemplate God’s pre-eternal plan for them and our holy Church. We feel that we are standing on the threshold of a new era full of unexpected challenges. These new challenges are directed to all mankind. Mankind is part of an entirely unknown—unknown and unsettling, but full of hope—phase of global transformations: religious, cultural, economic, technological, socio-political. These new challenges are especially felt by us, the children and heirs of the Kyivan Church. 2. In the modern context of our spiritual, cultural, and national existence, I sincerely invite everyone to direct the eyes of their own heart and mind to Divine Wisdom. The pre-eternal God manifests this Wisdom at the Nativity of Christ through His incarnate Son and reveals it in the Holy Spirit. In this Divine Sophia, the Wisdom of God, we reveal the profound wisdom (phronema) of the existence of our nation and our statehood—our Sophia of Kyiv, which is an icon and incarnation of the Wisdom of God. Sophia, the Wisdom of God, came to the hills of Kyiv with Volodymyr’s baptism and laid the foundation of all of Kyivan civilization. These are the Gospel values and moral principles that illumined the culture of our ancestors and have become a solid foundation for the unification of the Ukrainian nation and the development of our statehood. Its wondrous incarnation and unshakeable sanctuary became the Cathedral of the Wisdom of God, the Sobor of Saint Sophia in Kyiv, which to this day remains an expressive symbol of the original integrity and fulness (pleroma) of the unified and indivisible Church of Kyiv. 3. During its millennial history, this wisdom remained the foundation of the sophianic civilization of Kyivan Christianity, a source of the aspirations of statehood of our nation, a cradle of its morals. Thus, understanding our purpose and responsibility in modern times means making the Sophia of Kyiv visible, alive, and active. This Wisdom is a guide for one’s personal life, a way to exercise moral and political choices. It is by the power and actions of the Holy Spirit that it is the source of the national vigour and the answer to today’s questions and new challenges—that is, to plan and implement this Wisdom of God by our actions in new times—means to pave the way for Ukraine’s people into the future. 4. In His saving passion, death, and resurrection, our Saviour had the final victory over death itself and its cause, sin, and gave the world peace, which “passes all understanding” (Philippians 4:7). The wisdom of God’s plan was manifested in the incomprehensible beauty of the sacrificial love of the Creator Himself. After all, through His own Son, in the Holy Spirit, He completed the mystery of salvation of mankind, freeing it from the captivity of sin and eternal death. The Church of Christ is the Mystery of God’s victory, which is called to resound with victorious hymns through the ages, reaching all times and peoples through the waters of holy baptism and life-giving grace. We, Christians, are the echo of His victory, the living image of His eternal and gracious Wisdom. The Wisdom that once and for all dwelt among men, laying out the way to the individual person and whole nations to the boundless expanse of God’s love through the announcement to humanity of the crucified Christ—“the power of God and the wisdom of God” (1 Corinthians 1:24). 5. “The Wisdom of God was unknown until the time [of Revelation] and hidden from angels and people, not as non-existent, but as hidden, to be revealed at the end of the age,” wrote Metropolitan Hilarion of Kyiv. When, for our people, the “fullness of time” (Galatians 4:4) was determined by divine providence, that salvific proclamation echoed on the hills of Kyiv. It reached the depths of the hearts of our ancestors, enlightened their minds, and strengthened their will, from the multitude formed unity and integrity. In the baptismal waters of Volodymyr’s font, the Wisdom of God was incarnated in the body of our national existence—it became the blood and flesh of the history of the Ukrainian people. From hence generously began to beat the only source of Light and Truth for the people united by God’s grace. From this source, our ancestors drew knowledge and it allowed them to form an understanding of themselves and the world, which they transmitted to their descendants. From this source our identity was born—ecclesial, national, sovereign. Thanks to this source, the values of the organization of personal and social life were formed. They brought order to the economy, education, and the upbringing of youth. New principles defined the attitude towards the family, those in need and strangers, an understanding of justice and beauty, civic responsibility and care for the common good. Here, the spirit of the Ukrainian army was tempered and the code of values of the Ukrainian warrior—the protector of our native land—was formed. The habitual and everyday acquired the measure of the sacred and God-revealed. 6. In the light of the Wisdom of God, embodied in the call of our people, the principles of the internal structure of Ukrainian society, the ethical principles of its institutional organization, and, ultimately, the very foundations of our statehood were formed. This is the source of our awareness of social justice and the call of the government to serve the interests of the people and protect its welfare. Our culture, our literary language, and the direction of our development were formed in the bosom of Sophia of Kyiv. The Kyivan Church was not hostage to the political interests of state power or the servant of the mighty of this world, because she did not fall into the sin of worshipping worldly authority. She remained the soul and conscience of her people, teaching them to assess earthly power according to how this power serves God’s Truth and the eternal law of the Creator. That is how, in the light of Sophia of Kyiv and the good of God”s people, the Ruskaia Pravda (Rus’ Truth [Law]) of the Grand Prince Yaroslav of Kyiv, famously called Yaroslav “the Wise,” was evaluated. The same Church still gathers the children of the one Truth, one Wisdom, and one Sophia into one whole. Thus, on the slopes of Slavutych-Dnipro, God’s Wisdom “has built her house” (Proverbs 9:1), laid in the hearts of our ancestors the unshakeable foundations of values for ordering our present and building a common future. The Wisdom of God became Wisdom—Sophia—of Kyiv, which formed the foundations of our civilization. 7. Throughout the ages there flowed from here, by the power and action of the Holy Spirit, streams of Divine Grace that irrigated the surrounding lands. It is from here, from Sophia of Kyiv, that the life-giving beams of God’s Wisdom enlightened all the surrounding territories of the Kyivan state. Having accepted, however, the grace of baptism, not all of them became capable of being completely transformed into the depths of Divine Wisdom, and, as in Kyiv, to build their ecclesiastical identity and social institutions in its light. Even when they imitated, and sometimes occupied, the Cathedral of the Wisdom of God in Kyiv, they distinguished their existence with the aggression of nomadic conquerors, according to the Apostle Paul, “holding the form of religion but denying the power of it” (2 Timothy 3:5). 8. The souls of our ancestors became the temple of God`s Wisdom, not made with hands, on the shores of the ancient Borysthenes; the throne of the Kyivan metropolitans – the heart of the sophianic civilization. The temple of God’s Wisdom, not made with hands, on the shores of the ancient Borysthenes became the souls of our ancestors, the heart of their civilization—the throne of the Kyivan metropolitans. The temple of Saint Sophia of Kyiv, the Wisdom of God, embodied the wisdom of our ancestors, illuminated by God’s truth, and became “a wonder and marvel to all the surrounding lands.” For centuries, the mystery of salvation of our people was performed here. “Rivers of living water” (John 7:38) flowed from this temple to the heart and mind of every Ukrainian. Our grandparents received grace from the spiritual heritage of the holy and all-praiseworthy Apostle Andrew the First-Called, the holy teachers of the Slavs Cyril and Methodius, the blessed Princess Olha of Kyiv. In the time determined by Providence, thanks to the deliberate will of the holy Equal to the Apostles, Grand Prince Volodymyr, our ancestors became participants of the baptismal font, the inexhaustible bounty of God’s mercy, and the radiance of eternal Truth. Since then, Divine Wisdom—the eternal Truth—enlightens our path. And the Cathedral of Saint Sophia remains a faithful witness, sanctified by this grace, of the unity of the Church of Kyiv. 9. The undivided Kyivan Church, in full communion with the ancient Churches of Rome and Constantinople, became for us the faithful path to the universal brotherhood of the Christian nations. Her birth was not obscured by fraternal division. Her mystical memory carries a permanent liturgical remembrance (anamnesis) of the first millennium, unbroken by the division of Christianity. Her mission is to faithfully embody God’s plan of human salvation among “the one nation under God in the land on the hills of Kyiv,” as His Beatitude Lubomyr reminded us, and to serve the universal unity of all Christians. Her Gospel proclamation melodiously sounded in full symphony with the voices of the ancient apostolic Churches, so that the one Truth of the indivisible Church of Christ might enlighten the whole world, faithfully fulfilling the Saviour’s command “that they may all be one” (John 17:21). For Sophia is the symbol of unconquerable unity and wisdom, which reaches high above the walls of temporary misunderstandings and divisions. 10. The Church of Sophia is a holy land of reconciliation and understanding, always open to the universal unity of the children of God scattered throughout the world. For the Wisdom of God knows no bounds; she is always the same and embraces everyone and everything, “reaches mightily from one end of the earth to the other, and she orders all things well” (Wisdom 8:1). That is why today, just as a millennium ago, our Kyivan Church remains in full communion with the successor of the Apostle Peter, called by the Saviour Himself to serve the unity of His Universal Church and the integrity of the redeemed people of God. Together with the Bishop of Rome, our Church is in communion with other Eastern Churches. This reveals the special ecumenical vocation of our Church—a witness of undivided Christianity and a martyr of our times. 11. The confessor of the faith and long-time prisoner of the Stalinist camps, Patriarch Josyf Slipyj, left the immortal manifesto of the identity of our Church as the inheritor and successor to the fullness of Kyivan Christianity. This manifesto is the magnificent Cathedral of Saint Sophia in Rome, whose golden jubilee of consecration we celebrate in 2019. The construction of Rome’s Sophia, together with the foundation of the Ukrainian Catholic University, is a testimony to the living and active Sophia of Kyiv, revealed in the very existence of the Ukrainian Greco-Catholic Church—a martyr in both Ukraine and beyond its borders. Patriarch Josyf’s immortal Urbi et orbi (To the [eternal] City and to the World) message is engraved on the pediment of the university: Veritas et amor scientiae unit dispersos (“Truth and love of knowledge unite those dispersed throughout the world”). Building the Cathedral of Saint Sophia in Rome, consecrating it together with Saint Pope Paul VI, that ascetic of the faith of Christ contemplated the Saint Sophia Cathedral in Kyiv as the maternal temple of our Church in which his great predecessors prayed. Patriarch Josyf saw the Kyivan church as the visible cathedral of the invisible Sophia, its ecclesial and national wisdom, which endured thousands of years in the body and blood of his native Church, and today triumphs over the whole of Ukraine and the whole world. The Patriarchal Cathedral in Rome is an expressive symbol of the universality of Kyiv’s Sophia, an incarnation of the desire of our hearts to the fullness of unity in Christ, bestowed upon our people in the baptismal font of Prince Volodymyr. It is a sign of the perpetuity of the Ukrainian spirit, illumined by the grace of God—the same that Patriarch Josyf embodied in his own life. 12. The great confessor of the faith humbly commanded his descendants: “Bury me in our Patriarchal Sobor of Holy Sophia, but when our vision becomes reality and our Holy Church and our Ukrainian nation will arise, take my coffin, in which I will lie in rest, to my native Ukrainian land…If such be the will of God and the will of God’s Ukrainian people, lay my body in the crypt of the renewed Cathedral of Saint Sophia.” Patriarch Josyf felt that Divine Wisdom reminds us of the task of restoring the original unity of the presently divided Church of Kyiv. Only then will we see a truly renewed Cathedral of Saint Sophia in Kyiv. Until this unity exists, none of the Churches that are heirs of this Church can alone take up the ancient Cathedral of the Wisdom of God, Sophia of Kyiv. It must rather be the meeting place for all the descendants of the sophianic Church of Kyiv, to be a reminder, a call, a watchman, and a hope of our unification in Christ. 14. Within the peace and quiet of the tradition of Sophia in Kyivan Christianity there formed a specific liturgical, theological, spiritual, and canonical heritage. This rich spiritual culture has, unfortunately, not been studied and investigated sufficiently. Today, together with our Orthodox brothers, co-heirs of the Church of Kyiv, we are called to reopen this common treasure, to explore and develop it as a precious foundation for our spiritual unity. Kyivan piety is above all the attention to the human heart at its deepest dimension, in which the ability to feel and comprehend reality and to make decisions under the inspiration of the Holy Spirit is concentrated. It is there that the Wisdom of God works on the restoration of the human being, whose image had become obscured. Therefore, the human heart, as well as the surrounding reality, requires development of authentic values. The ideal of an asceticism (askesis) formed under such conditions is physical labour, which allows a person to feel closer to the created world and, at the same time, prompts them to take responsibility for themselves. From the human heart—“an abyss, wider than all the waters and the heavens”—the Wisdom of God reaches the entire inner world of a person made conscious by the perception of responsibility for others. Hard work becomes a valuable ideal, an instrument of social service. 15. Responsibility for the common good and serving the needy remain two decisive features of the social dimension of Kyivan piety. We find numerous testimonies about them in the lives of the great saints of our land, including the venerable Theodosius of the Kyiv Caves and other ascetics from the Paterikon of the Kyiv Caves Monastery. This kind of piety forms the image of the person restored by the Holy Spirit, who lives in the fulness of integrity (sophrosyne) and which is particular to our spiritual culture—the holy man as a bearer and witness of Divine Wisdom. Prayer, work, fasting, and deeds of mercy allow man to become a living embodiment of the incomprehensible Wisdom of the Creator Himself. The first fruit of holiness guided by God’s wisdom is the spiritual achievement of the holy martyrs of the brothers Boris and Hlib. From the depths of this special gift for our people, Divine Wisdom paved the way to the hearts of countless martyrs for the unity of the Church of Christ—both during the persecution of the Church of Kyiv in the Russian Empire and during the communist terror of the twentieth century: their “martyr’s blood testifies before heaven and earth to their unwavering faith in God.” In the heart in which God’s Wisdom has come to dwell, the Gospel principles become vital benchmarks for our present life, and from there, from the cell of our own heart, we go to the wide world, to transfigure it, to bring human society in line with these revealed values. For centuries, the Kyivan Church, faithful to its salvific mission, sanctifies the heart of every Ukrainian and all people with the grace of God, brightly shining a wonderful icon of Divine Wisdom before the world. 16. The ethics of social relations, formed in the context of the sophianic logic of our history, defines a special place for the leader of the people. The function of state power and public leadership in the Kyivan tradition acquires the features characteristic of it. It is easy to notice in Volodymyr Monomakh’s Instruction: the grand prince is not guided in his actions only by his own intelligence and general human experience. He looks for God’s statutes, wisely acknowledging the primacy of Divine Providence over his own will. State authority is, first and foremost, a ministry that leads to caring for the people entrusted by God, especially widows and orphans, the poor and the infirm. Laziness is perhaps the greatest of sins. Every human activity must be tireless and enlightened by God’s grace. That is why the prince appeals in prayer to God with a request to strengthen his heart with wisdom. Moral and theological virtues are at the core of his personal life and social service: “And this is for you the foundation of all: have fear of God above all else.” The prince does not usurp power given to him by the Almighty to protect his native land and ensure the well-being of his subordinates. He is called to wisely dispose of it for the sake of peace and harmony in the country. In our system of values based on Sophia, God’s people remain the bearers of God’s Wisdom, and from there—a voice that is capable of reminding the prince of his sacred mission and warn against abuse of power. 17. Throughout the centuries, the light of the Gospel of Christ has abundantly enlightened every dimension of the life and ways of our nation. The Word of God laid the foundations of social and state institutions, deepened the understanding of human freedom and dignity, the rights and duties of citizens, the responsibility of the authorities, and helped to reconcile public and economic activity with revealed truths. An important echo of God’s Wisdom in the history of the Ukrainian people in the Kyivan Church is the unquestioning respect for knowledge. Metropolitan Andrey once said: “All Ukrainians highly value science and education.” The Metropolitan himself and his successors made considerable efforts to prevent the Ukrainian people from losing their desire for wisdom. After all, knowledge leads to a deeper understanding of oneself and the surrounding world, allowing a person to fruitfully interact with reality. Science and education help people protect their identity, save their own soul, and create a blossoming future. Prosperity is the key to economic development and social progress, however, only when guided by true values: “If you love profit, look for it in a decent way,” wrote Hryhorii Skovoroda. By entering human reality, God’s Wisdom enlightens minds and directs the human will to the right action, helping wisely to guide God’s creation, which has been entrusted to it. 18. In a particular way, our people and its Church became witnesses of the incarnation of the Wisdom of God in their own history in inexpressible suffering and persecution, with faithfulness and dignity inherited for the sake of Christ and His justice. We are the Church of the Martyrs for God’s Truth. The trials, which fell abundantly on the Ukrainian people, became a place of revelation of God’s power and wisdom. They created our specificity, formed our identity. For we do not preach the wisdom of this world, but in our own history we authentically proclaim “a secret and hidden wisdom of God, which God decreed before the ages for our glorification” (1 Corinthians 2:7). This is the very mystery of the divine plan, which appeared to the world from the height of the cross and illuminated it with the light of Christ’s resurrection. This is the wisdom that bestows the fullness of life and overcomes death itself. 19. 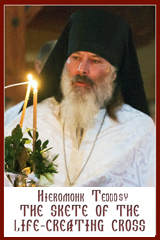 In his pastoral message to the clergy of our Church, written in the Krasnoyarsk region, Patriarch Josyf Slipyj, of blessed memory, compares the history of the Church of Christ to the cross-bearing (stavrophoric) procession of the righteous and martyrs for the Truth of God: “And in this cross-bearing procession, a separate row is made up of the confessors of our Greco-Catholic Church…There you see your grandparents and great-grandparents, parents and relatives, many of your spiritual children, friends, and acquaintances…Behind those worthy, venerable, and holy ancestors, you follow with your heavy crosses, falling under them not once or twice, but repeatedly, only to rise again. They are all with you in your struggle for the Church and its unity, to bear your heavy cross with you in spirit and prayer!”Sophia of Kyiv is also the wisdom of our people (phronema), which is manifested in times of suffering and gives the power to transfigure the pain and sadness of persecution into the ineffable joy of faithfulness to Christ, into spiritual victory over the forces of fear and gloom, and into the triumph of the resurrection. Our Church has always been conscious of its mission before its own people and the whole world to proclaim the Gospel “not with eloquent wisdom of discourse,” but by the love of the cross of the Lord, which “to us who are being saved it is the power of God” (1 Corinthians 1:17). 20. The righteous Metropolitan Andrey Sheptytsky ends his famous “Prayer for Divine Wisdom” with these words: “grant me the wisdom that I and my people lack; grant me the wisdom of true satisfaction, true happiness.” In these words, our great righteous hierarch seems to draw the eyes of his own heart toward the future, which must still be attained through the struggle of prayer and by joint hard work. Here was the whole wisdom of the Ukrainian people who, through centuries of trials, look forward and confidently strive for the fullness of their calling to be raised as “an ensign for the nations” (Isaiah 11:12), to be a people of God who, with insurmountable hope, set out on the path to the land promised to them, to the fullness of God’s love and peace. And the guide for them on this path will be the Wisdom of God, embodied in their history—our Sophia of Kyiv. 21. Sophia of Kyiv is the wisdom of the people born in the grace-filled waters of Volodymyr’s baptism. Since then, the values of the Gospel have laid the foundation for our worldview, have become the norm of organizing the life of society. The fostering of the Ukrainian family as the domestic Church, which preserved our ecclesial life during the years of most severe persecution, the transmission of the faith of our parents to future generations as the most valuable national treasure, and even the process of state-building in our history, imbued with the radiance of God’s Wisdom. Her light teaches us to love our people and its united (soborna) state, while at the same time raising awareness that we are, according to the Apostle Paul, heavenly citizens, and here in this world we do not have a permanent place, but are humble pilgrims heading to our heavenly homeland (cf. Philippians 3:20). It is precisely this high purpose and vocation of every person that allows us to properly evaluate the earthly life and prepare well for eternity. On the way to the heavenly homeland, we are called upon to embody God’s Sophia in our Ukrainian reality, to build a just world, to create a civilization of peace and love. 22. Dear brothers and sisters in Christ! Throughout our millennial history, our Church and our people have fully experienced in their bodies the experience of the Paschal Mystery of our Saviour. We have passed through difficult sufferings, have repeatedly experienced death and resurrection. We see the victory and the joy of the resurrection with our own eyes in a free, independent, and united Ukraine. Today, looking again into the eyes of the invaders, we ask the Lord: “Why did you raise us up? What is your plan (pronoia) for us?” To these questions, Divine Wisdom gives us an answer through our own Sophia of Kyiv! 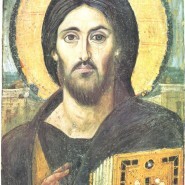 Today, just as a thousand of years ago, we are deeply aware of ourselves as the local and simultaneously global Kyivan Church—the Church of the Ukrainian people in unity with the successor of the Apostle Peter, as an integral part of the catholic Universal Church with the mission of uniting all Christians. We are confidently moving towards the fullness of God’s Kingdom. Our sources are our values, our way of thinking and acting, our tradition and strategy of development, our experience. Our common memory, our fully open heart and helping hand, extended to the Orthodox brethren, our way to the future, our wisdom—this is our Sophia, the Sophia of Kyiv. 23. This Wisdom of the Church and the people is the key to our victory, our passion and indestructibility. This Wisdom, in the power and grace of the Holy Spirit, will lead us to a responsible choice this year, to renew and strengthen our state and to secure victory and peace, development and prosperity of the Ukrainian nation. Saint Sophia of Kyiv is the internal force that, without fear and anxiety, leads our people to the future in a particular civilizational way. By its very nature, it is universal—of great value to mankind, which helps all nations to enter a new era not with empty hands, but with the Eternal Wisdom that is at the heart of history. Our Sophia of Kyiv is its authentic reflection, the eternal radiance of Divine Providence, which reveals to us the truth about the person and its purpose in the universe. Hilarion of Kyiv, Sermon on Law and Grace; Іларіон Київський, “Слово про закон і благодать,“ Філософська думка 4(1988), 89–101. His Beatitude Lubomyr (Husar), “Один Божий народ у краї на київських пагорбах: Слово Блаженнішого Любомира, Митрополита Києво-Галицької митрополії Української Греко-Католицької Церкви з нагоди започаткування повернення осідку митрополита до Києва, 13 квітня 2004 року,” in Благовісник Верховного Архиєпископа Української Греко-Католицької Церкви Блаженнішого Любомира кардинала Гузара (Lviv: Друкарські куншти, 2004), vol. 4, 161–168. Patriarch Joseph (Slipyj), “Завіщання,” in Будьмо собою! Життя і Заповіт патріарха Йосифа Сліпого (Lviv: Видавництво УКУ, 2017), 70. Metropolitan Andrey (Sheptytsky), “Правдива віра: Пастирське послання до вірних на Буковині,” in Про Віру: Вибрані послання Митрополита Андрея та Патріарха Йосифа Сліпого (Lviv: Артос, 2013), 22. Hryhorii Skovoroda, “Книжечка про читання Святого Письма, названа «Жiнка Лотова». У 2-х т.,“ in Трактати, діялоги, притчі, переклади, листи, ed. Oleksa Myshanych (Kyiv: УНІГУ & НАН України, 1994), vol. 2, 34–60. “Повчання Володимира Мономаха (за Лаврентіївським списком),” Золотеслово. Хрестоматія літератури України–Руси епохи Середньовіччя ІХ – Хстоліть., vol. 2, ed. Vasyl Yaremenko (Kyiv: Аконіт, 2002). Hryhorii Skovoroda, Розмова, названа алфавіт, або буквар миру (Kyiv: Наукова думка, 1983), 200–249. Patriarch Joseph (Slipyj), “Пастирське послання до духовенства «Про становище духовних та вірних Української Греко-Католицької церкви після 1946 року та закликом бути стійкими під час переслідувань»,” in Про Віру: Вибрані послання Митрополита Андрея та Патріарха Йосифа Сліпого (Lviv: Артос, 2013), 104. Metropolitan Andrey (Sheptytsky), “Молитва про Божу Мудрість,” in Молитовник “Прийдіте поклонімся” (Lviv: Свічадо, 2004), 7; https://www.sheptytskyinstitute.ca/metropolitan-andrey-sheptytsky/. У своїх спасенних стражданнях, смерті та воскресінні наш Спаситель здійснив остаточну перемогу над самою смертю та її причиною, гріхом, і дарував світові мир, що перевершує всяке розуміння (пор. Фл. 4, 7). Премудрість Божого задуму виявилася в незбагненній красі жертовної любові самого Творця. Адже Він через власного Сина у Святому Дусі довершив таїнственне спасіння людства, визволивши його з полону гріха та вічної смерті. Церква Христова – таїнство Божої звитяги, що покликане крізь віки лунати переможним співом, сягаючи водами святого хрещення та животворною благодаттю всіх часів і народів. Ми, християни, – відгомін Його перемоги, живий образ Його відвічної та всеблагої Премудрості, яка раз і назавжди замешкала поміж людьми, торуючи шлях окремій людині та цілим народам до незглибимих обширів Божої любові через сповіщення людству Христа розп’ятого – «Божої могутності і Божої мудрості» (1 Кор. 1, 24). Ісповідник віри, довголітній в’язень сталінських таборів патріарх Йосиф Сліпий залишив невмирущий маніфест ідентичності нашої Церкви як спадкоємниці та правонаступниці повноти київського християнства. Цим маніфестом є величний собор Святої Софії у Римі, золотий ювілей освячення якого ми святкуватимемо 2019 року. Зведення римської Софії разом із заснуванням Українського католицького університету є свідченням живої та діяльної Софії Київської, виявленої в самому існуванні Української Греко-Католицької Церкви-мучениці як в Україні, так і на поселеннях. Безсмертне послання патріарха Йосифа «Urbi et оrbi» (Вічному місту і світу), викарбуване на фронтоні університету: «Істина йлюбов до науки собирає в розсіянні сущих». Будуючи собор Святої Софії в Римі, освячуючи його разом зі святим папою Павлом VI, цей подвижник Христової віри споглядав Софійський собор у Києві як материнський храм нашої Церкви, в якому молилися і його великі попередники. Київський храм патріарх Йосиф бачив видимим собором невидимої Софії, церковної та національної мудрості, що перетривала тисячоліття в тілі й крові його рідної Церкви, а сьогодні переможно сяє на всю Україну та весь світ. Патріарший собор у Римі є промовистим символом вселенськості Софії Київської, втіленням жаги українського серця до повноти єдності в Христі, дарованої нашому народу в хрещальній купелі князя Володимира. Він є знаком невмирущості осяяного Божою благодаттю українського духу – того самого, що його власним життям втілював патріарх Йосиф. Відповідальність за спільне благо та служіння нужденним залишаються двома визначальними рисами соціального виміру київського благочестя. Ми знаходимо численні свідчення про них у житіях великих святих нашої землі, зокрема преподобного Теодосія Печерського та інших подвижників із «Києво-Печерського патерика». Цей вид благочестя формує властивий нашій духовній культурі образ відновленої Духом Святим людської особистості – святця як носія та свідка БожественноїПремудрості. Молитва, праця та вчинки милосердя дозволяють людині стати живим втіленням незбагненної Мудрості самого Творця. Першим плодом софійної святості є духовний подвиг святих мучеників братів Бориса та Гліба. Із глибин цього особливого дару для нашого народу Божественна Премудрість проклала собі шлях до сердець незліченних мучеників за єдність Христової Церкви – як у часи гоніння Київської Церкви в Російський імперії, так і в часи комуністичного терору ХХ століття: їхня «мученицька кров свідчить перед небом і землею про непохитну вірність Богові»[viii]. У серці, в якому замешкала Божа Премудрість, євангельські принципи стають життєвими орієнтирами для нашого сьогодення, а звідтіля, з келії власного серця, прямують у широкий світ, щоб його преобразити, привести людське суспільство у відповідність до об’явлених цінностей. Так упродовж століть Київська Церква, вірна своїй спасенній місії, освячує Божою благодаттю серце кожного українця та всього народу, яскраво сяючи перед світом дивовижною іконою Божественної Премудрості. Особливим чином наш народ і його Церква стали свідками воплочення у власну історію Премудрості Божої в невимовних стражданнях і гоніннях, з вірністю та гідністю перенесених заради Христа та Його справедливості. Ми – Церква мучеників за Божу Істину. Випробовування, що рясно спадали на долю українського народу, ставали місцем об’явлення Божої сили та мудрості. Вони зіткали нашу самобутність, визначили нашу ідентичність. Ми бо не проповідуємо мудрість цього світу, а власною історією автентично звіщаємо «мудрість Божу в тайні, закриту, що її Бог призначив перед віками нам на славу» (1 Кор. 2, 6). Це та сама таїна Божественного задуму, що явилася світові з висоти хреста та осяяла його світлом Христового воскресіння. Це та мудрість, що дарує повноту життя і долає саму смерть. Світлої пам’яті патріарх Йосиф Сліпий у своєму пастирському посланні до духовенства нашої Церкви, написаному ще в Красноярському краю, порівнює історію Церкви Христової з «хрестоносним походом» праведників і мучеників за Божу Істину. «А серед того хрестоносного походу окремий ряд становлять визнавці нашої Греко-Католицької Церкви… Там бачите і Ваших дідів і прадідів, батьків і кревних, численних Ваших духовних дітей, друзів і знайомих… За тими гідними, достойними і святими предками ступаєте і Ви зі своїми важкими хрестами, падаєте під ними не раз і не два, щоби знову повстати. Всі вони у Вашій боротьбі за Церкву та її єдність, у двиганні Вашого важкого хреста духом і молитвою з Вами!”[xii]Софія Київська – це також мудрість нашого народу, що об’являється в час страждань і надає силу переобразити біль і смуток гонінь у невимовну радість вірності Христові, у духовну звитягу над силами страху та мороку, у тріумф воскресіння. Наша Церква завжди усвідомлювала свою місію перед власним народом і цілим світом сповіщати Євангеліє “і то не мудрістю слова” (1 Кор. 1, 17), а любов’ю до хреста Господнього, який для нас, що спасаємося, є “сила Божа”». Дорогі в Христі брати і сестри! Упродовж своєї тисячолітньої історії наша Церква та наш народ уповні пережили у своєму тілі досвід пасхального таїнства нашого Спасителя. Ми пройшли крізь важкі терпіння, неодноразово пережили смерть і воскресіння. Перемогу та радість воскресіння ми бачимо на власні очі у вільній, незалежній та соборній Україні. Сьогодні, вкотре дивлячись в очі завойовникам, ми запитуємо в Господа: «Для чого Ти нас воскресив? Яким є Твій Промисел щодо нас?» На ці запитання Божественна Премудрість дає нам відповідь нашою власною Софією Київською! Сьогодні ми, як і тисячу років тому, щоразу глибше усвідомлюємо себе як помісна і водночас глобальна Київська Церква – Церква українського народу в єдності з наступником апостола Петра, як невід’ємна складова соборної Вселенської Церкви з місією об’єднання всіх християн. Ми впевнено прямуємо до повноти Божого Царства. У наших витоках – наші цінності,наш спосіб мислення та діяльності, наша традиція та стратегія розвитку, наш досвід. Наша спільна пам’ять, наше вповні відкрите серце та дружня рука, простягнута до православних братів, наш шлях у майбуття, наша мудрість – це наша Софія, Софія Київська.